Explanation: Will Spirit be able to free itself from soft ground on Mars? 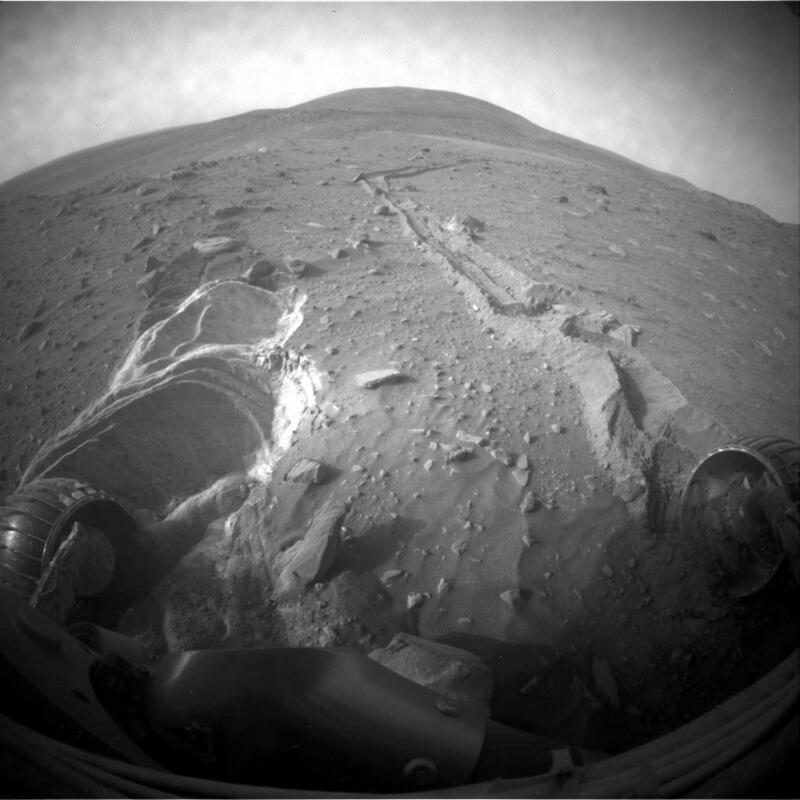 The robotic Spirit rover currently rolling across Mars ran into unexpectedly soft ground last month while exploring the red planet. A worry is that the ground is so soft that Spirit won't be able to free itself, will have to stay put and thereafter study what it can from its current position near an unusual martian land feature named Home Plate. Pictured above, the front left wheel appears to be primarily digging itself in when spun, while on the other side, the front right wheel no longer spins and is dragged by the five year old mechanical explorer. In the distance, rocks and rusty dirt fill the alien landscape in front of the distant Husband Hill. NASA continues to study the situation, and engineers and scientists have not yet run out of ideas of how to use Spirit's six wheels. Far across Mars, Spirit's twin Opportunity continues on its two year trek toward Endeavour crater.